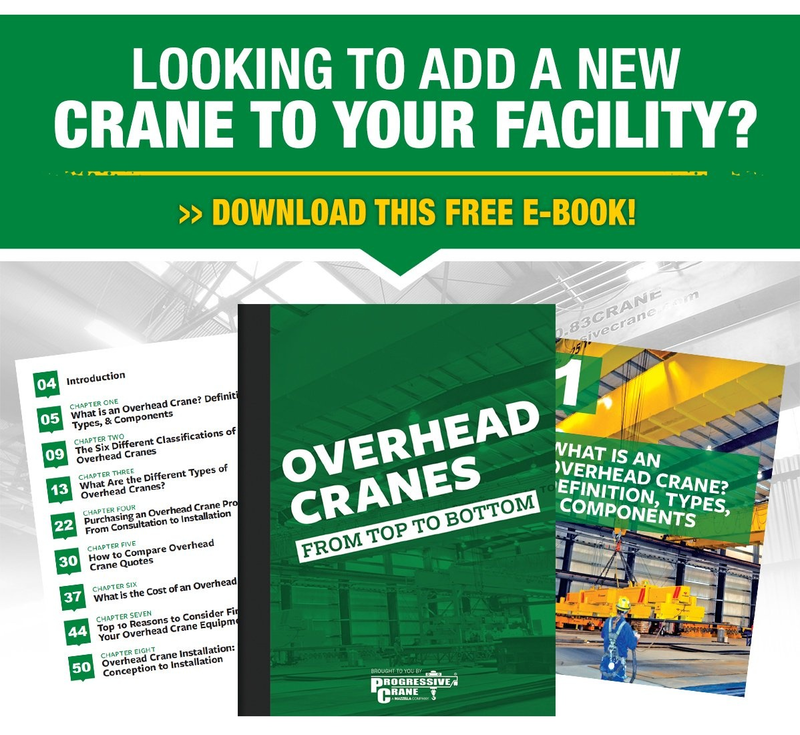 Are you looking to add an overhead crane to your facility? 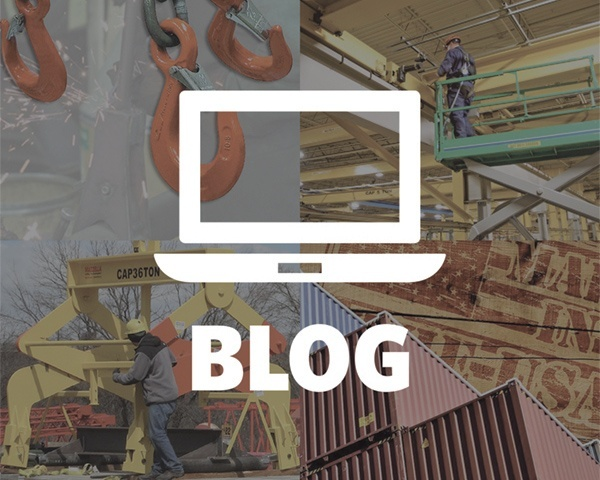 Have you heard phrases like "modular crane," "engineered crane," or "process crane" thrown around and wonder what type of bridge crane might be best for your business? What is a Modular Bridge Crane System? A modular crane is a popular type of pre-engineered system that includes all of the components for a bridge crane—excluding the bridge girder(s) and the paint system. These types of crane systems aren’t necessarily designed for a specific process but are designed to be general purpose material movers. They typically run at fairly low speeds and are used infrequently. Because of this, a modular crane system is mostly going to play in the lower capacities of 10 tons and under and fall within more standard span and runway ranges. Typically, the crane’s electrification, controls, hoist, motors, and drives are all standard off-the-shelf parts. These components have been selected for use within pre-specified ranges for capacity, span, and usage. All of these components are compatible with each other and are designed to be “plug and play” with the included electrical panels. The cranes themselves can be top running or under running. The bridge girders can be configured in a single girder or double girder design and are fabricated to order based on the desired span and capacity of the system. 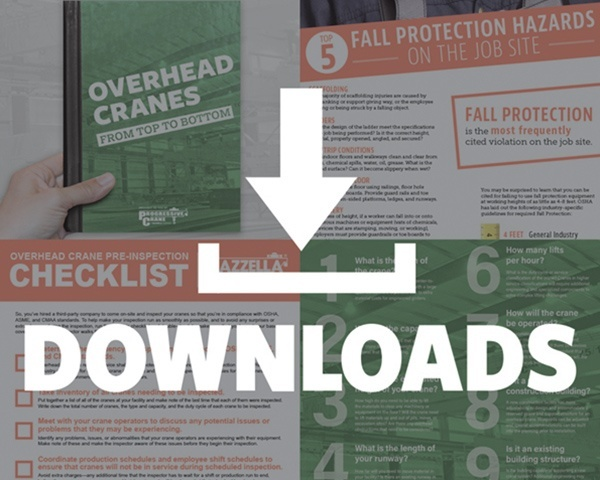 When it comes to duty cycle, modular cranes mostly fall somewhere in the CMAA Class A, Class B, or Class C ratings—however, some modular crane systems could be classified as Class D.
However, make sure you carefully understand the ratings and specifications of a modular system that has been rated as Class D. Some of the individual components may be using European FEM standards that fall just short of the CMAA and HMI Class D specifications when it comes to motor starts/stops and bearing life recommendations. What Drives the Need for a Modular Crane? Modular cranes aren’t driven by a specific lifting application and are most commonly used in general industry, light manufacturing or fabrication, and maintenance or machine shops. Usage: The crane will be a general purpose crane used for moving material through a facility. The crane won’t be used frequently and doesn’t need anything more than average speed, average capacity, and basic controls. Application: The crane will be used in general industry or light manufacturing/maintenance facilities. There aren’t typically any environmental considerations that would require specialized components. Price: Cost is a major factor and the purchaser is probably focused on an economical and short-term solution that can be delivered quickly. However, they may not be thinking long-term and considering costs beyond the next 3-5 years. Most commonly, a modular crane system is going to be comprised of standardized off-the-shelf components including the hoist, end truck wheel bases, drives, and festooning. Everything in the system is packaged with components that have been pre-engineered to work together—all the way down to the connection points and individual bolts. This may sound like you’re just assembling an erector set, but you still need a professional crane manufacturer to fabricate and install your overhead crane system, so that everything is square and within precision tolerances. Otherwise, you’ll get a crane system with all kinds of problems—including alignment issues and premature wear to brakes, wheels, and end trucks. Modular cranes typically don’t come with the bells and whistles of an engineered crane system, but that’s not to say that certain components can’t be upgraded or specialized based on special requirements or application. Let’s be clear, a modular bridge crane system can be an excellent investment and the most economical solution for many business owners. If the proposed solution fits the bill for your usage, budget, and delivery requirements, then it’s going to be a good crane for you. When designing an overhead crane, you'll also want to give special consideration to any future usage requirements. If you think that your production may expand down the road (which may result in higher capacity lifts or an increase in the number of lifts per day) then you may want to spec out the crane and components so it can accommodate future growth. If you over-specify a crane, it will result in a higher initial cost for the crane and runway system, but will have less maintenance and down time in the long run. If your crane is being over-used, or was under specified to begin with, your total cost of crane ownership can exceed the initial investment just through maintenance, service, and repair. Since the crane does use off-the-shelf components, there is an inherent life expectancy for the included parts. Some components can have fairly long lead times to source replacement parts and the cost of replacement or repair can add up over time. The cost to replace a motor down the road may not be worth it when compared to the cost of replacing with a brand new crane system. Always approach the process of purchasing an overhead crane, by considering the total cost of ownership. Consider what your costs will be 3-5 years down the road, 10 years down the road, etc. What is an Engineered / Process Crane? Engineered process cranes are designed and built to meet the specific requirements of a production process. 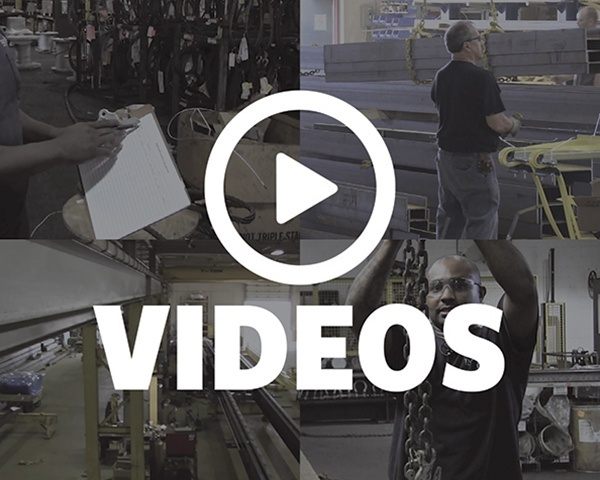 When it comes down to it, process is everything for an engineered overhead crane system. These types of overhead cranes are designed to withstand the rigors and repetition of performing a critical lifting action over and over again. In most cases, these cranes are classified as CMAA Class D, Class E, or Class F cranes. When designing these cranes, careful consideration has to be given to total hours of operation, the types of loads being lifted, and the number of lifts or movements being performed each shift. These engineered crane systems are typically higher capacity, higher duty cycle, perform a critical task, and move at faster speeds and with more precision, than traditional modular crane systems. Steel mills / steel processing facilities – including hot metal cranes, coil/bar/plate lifters, shipping and receiving cranes, magnetic scrap handling, etc. What Drives the Need for an Engineered Or Process Crane System? Understand that there are different levels to an engineered crane system and the focus of the design is based on a specific process or lifting application. One engineered crane system used in a high-output manufacturing facility won’t have the same specs or components as a similar capacity crane used in a steel mill or a paper mill. Usage: Usage can vary, but these cranes are often going to be in near-constant, or constant use, or will be designed to move at faster speeds, or perform a very precise and critical lift. CMAA duty cycle and HMI specifications are always considered when designing and selecting components for these systems. Application: A variety of applications exist, but these cranes can be commonly found in steel mills and steel processing facilities, paper mills, powerhouses, high-output manufacturing facilities, distribution centers, and bulk material handling applications. Price: Engineered or process cranes are significantly more expensive than a pre-engineered crane system because there is more insight into the design, estimating, engineering, and fabrication of these types of cranes. Lead Time: It can take weeks to months to source the individualized components from different vendors and then time needs to be allotted for the vendor to fabricate or assemble these systems. Once delivered to the manufacturer, there is significant time required for the fabrication and electrical work. Installation can also take longer and be more expensive than a modular crane. Engineered crane systems are often viewed as a critical piece to the production process. 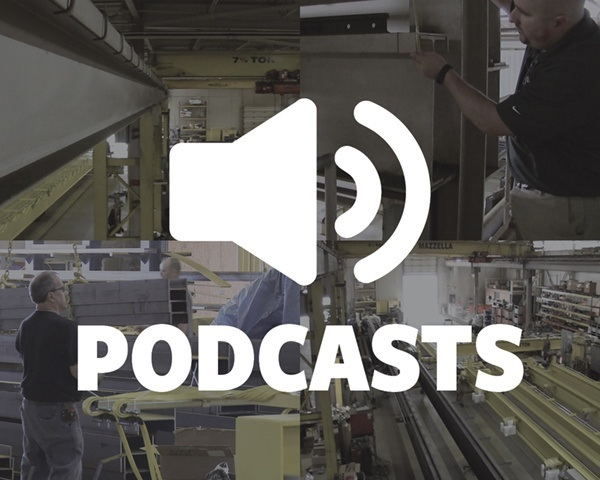 For this reason, when a company decides to invest in an engineered crane system, the process is much different than when compared to buying a modular crane kit. The consultation process typically involves multiple stakeholders, and often the buyer is much more educated about what they need. The customer often has done some pre-engineering on their end and may have an actual project specification they want manufacturers to use for quoting purposes. On an engineered crane system, there is careful consideration given to each individual component of the crane. In this case, the system moves away from “plug and play” connections and into more specialized and robust components that are designed to stand up to the rigors of the lift. In most instances, the components get hardwired into the electrical panels. Integrated below-the-hook lifters including magnetic or vacuum lifters, ladle hooks, coil hooks, die turners, lifting beams or spreader beams, etc. Another benefit of more specialized components is that they’re designed to allow for easier inspection, adjustment, repair, and maintenance. Highly-specialized components need highly-skilled maintenance personnel or an experienced and qualified crane and hoist service provider. Whoever is performing inspections and maintenance on a process crane has to have a solid understanding of electrical and mechanical components to be able to troubleshoot issues, perform inspections, and make adjustments or repairs in a timely fashion—prolonging downtime can be costly to the bottom line and affect other production processes down the supply chain. Because the crane can be so critical to the production process, any type of unexpected downtime can have devastating impacts on the bottom line the longer the crane is out of service—especially for those who utilize a just-in-time (JIT) production strategy. Usage - How often will this crane be in operation? What will your production requirements be 3-5 years down the road? Application - What will the crane primarily be used for? Will it be performing a critical lift or is it tied to a critical process? Budget / Cost - How much are you willing to spend on this equipment? What is the cost of downtime if this piece of machinery goes down? Operating Environment - Where will this crane be operating? Are there any special environmental considerations that could affect the design or sourcing of components? Special Features or Functionality - Do you want maintenance personnel to have access to remote monitoring or diagnostics information? Does the crane need variable speed controls and in which direction? Will it need to utilize a customized below-the-hook lifting device? Since every business is unique, and no two cranes are alike, we offer free quotes and consultations for overhead and material lifting projects. If you’re interested in learning more about how an overhead crane system can improve the efficiency and safety of your facility, or want to schedule a consultation, contact us today to speak with a Crane Specialist.